The newest Nordstrom looks like a gadget-heavy version of a classic department store. At a virtual reality suit station, nestled between racks of designer clothes, a digital avatar models a suit designed by a customer. Next to the sunglasses is a small express kiosk where shoppers can drop off returns. There's a phone charging station by the stairs. 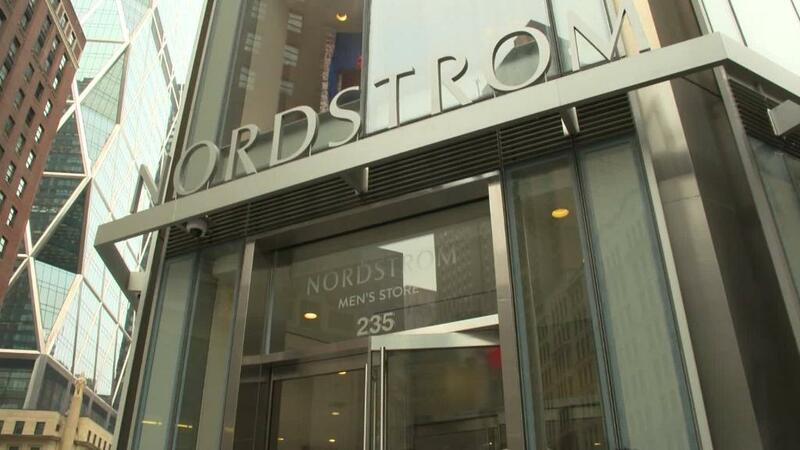 "It's not technology for technology's sake," Jamie Nordstrom, the company's president of stores, told CNN's Clare Sebastian on Thursday, soon after the store opened in Manhattan. "All of retail is experience these days." Nordstrom is trying to solve a familiar problem: To survive, retailers have to make the in-store experience count. If people don't enjoy themselves, they'll just keep shopping online. So far, Amazon (AMZN) is winning. Last year, retailers announced a record 7,000 store closures. Retail defaults hit a record high during the first three months of this year. Nine West and other prominent names have filed for bankruptcy. That's why the store that Nordstrom opened on Thursday is a big bet. It's the retail chain's first non-discount store in New York City and its first location catering to men. The 47,000-square-foot store is by Columbus Circle, a tourist hub steps from Central Park. A Nordstrom (JWN) women's store is scheduled to open across the street next year. The men's store isn't short on low-tech attractions. Music pumps through three floors. A cocktail bar is set up next to fitting rooms on the third floor, and there's coffee a bar on the lower level. A shoe shiner works fastidiously by the elevators. Customers seemed pleased. Meghan Raymond said she had been "anticipating Nordstrom and their wonderful selection ... coming to New York" for a long time. "I love Nordstrom," said Mark Merfeld, another shopper. He was impressed by the service and variety. "I'll definitely come back." Besides contending with Amazon, Nordstrom has to face the same problems other companies do. Fears of a trade war have companies on edge. Last month, some of the nation's largest retailers asked President Trump not to impose tariffs on China because they could lead to higher consumer prices. Jamie Nordstrom told CNN that "pricing increases will likely get passed on to the customer in one form or another," but he said he's not too worried. "We don't see immediate impacts on our business, or anything changing fundamentally," he said.